The Speaker of Ghana’s Parliament, cleverly swerved a mischievous attempt by the New Patriotic Party (NPP) to tagged President John Mahama with corruption, have him probed and removed from office, on the basis of the discredited Ford gift story. After dismissing a motion filed by the NPP Minority calling for investigations into car gift to President Mahama, Mr. Doe Adjaho, directed the NPP members of the House, to try their luck by pursuing the case at the Commission for Human Rights and Administrative Justice, (CHRAJ). The Speaker, who is a lawyer by profession, argued that various legal and constitutional provisions, indicate that the body mandated to deal with such issues is CHRAJ. He also listed a number of such cases against public officials, which he said were investigated by CHRAJ, hence Parliament, has no business in looking into President Mahama’s Ford saga. The car in question has been added to the presidential fleet in Flagstaff House. It has not been registered in the private name of President Mahama or any of his relatives. Since its arrival in 2012, the car, has been used for official duties only, similar to a Mercedes-Benz saloon car ex-President John Kufuor received from the late Libyan leader, Muammar al-Gaddafi. The Speaker, had charged that “Ordinarily, having regard to standing order 79(4), I would have returned the motion to the member in whose name it stands as being inadmissible. MPs convened yesterday, for a sitting after an early recall from their recess by the Speaker of Parliament, at the instance of the NPP Minority led by Osei Kyei-Mensah-Bonsu. The reasons for the recall were unclear, though on Citi FM’s news analysis programme, ‘The Big Issue’ on August 27, the NPP MP for Ayawaso West Wugon, Emmanuel Kyeremateng Agyarko, revealed that MPs were being recalled to consider the Minority’s motion for investigations into President Mahama’s Ford gift saga. Doe Adjaho also adjourned sitting sine die. President Mahama admitted receiving the Ford vehicle gift which the Joy FM journalist Manesseh Azure Awuni had priced at US$100,000 in 2012 from a Burkinabe contractor, Djibril Kanazoe. Manesseh Azure Awuni, had considered the gift an inducement as Kanazoe, subsequently won European Union (EU) contract to construct the Dodo Pepeso-Nkwanta road construction project. He had earlier won a contract to construct a fence wall around a land belonging to Ghana’s Embassy in Burkina Faso for nearly half a million dollars. President Mahama, was harshly criticized for accepting the vehicle he claims to have put in the state’s pool of vehicles. Critics alleged that the revelation indicates a case of conflict of interest and called for his impeachment of the president. The NPP flagbearer, Nana Akufo-Addo, had described the president’s acceptance of the gift as another blotch on his administration. The youth wing of the Convention People’s Party (CPP) petitioned CHRAJ to investigate the possible conflict of interest. The President, has since responded to CHRAJ’s letter requesting information on the incident, and has rubbished the allegations leveled against him. He further argued that, CHRAJ was the right body to investigate the matter. A cousin of Nana Akufo-Addo, who is also the NPP MP for Abuakwa-South, Samuel Atta Akyea, argued that the Speaker of Parliament, embarrassed the House with his dismissal of a motion, which sought to have President John Mahama investigated over the Ford gift saga. “What is it that will prevent anybody from blocking this issue? What is it to hide? What is the fear? This phobia is giving vent to some speculations that maybe there are skeletons in the cupboard. In fact, it’s constitutional confusion to subordinate Parliament to CHRAJ, it’s an embarrassment to this House,” he insisted. Speaking to Citi News, Atta Kyea, insisted that the Speaker’s ruling makes mockery of Parliament. He also explained that the rationale for filing the motion was not to get the president impeached but to unravel the truth in the case. 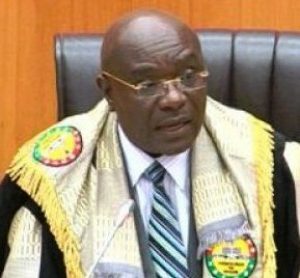 The Abuakwa South legislator also stated that, the speaker breached natural justice by not allowing the minority to defend their motion. “Arbitrariness is indicating to us that we won’t go anywhere with it, we don’t want to waste precious time over this. The mind is set, he came in with a prepared decision, he didn’t even give us the opportunity to articulate the position. There was a breach of natural justice right there,” he added. However, the Majority Chief whip in Parliament, Mohammed-Mubarak Muntaka, has said that the Minority acted in bad faith by seeking to call for a separate investigation into President Mahama’s Ford gift saga. According to him, petitions had already been submitted by both the Progressive People’s Party (PPP), and the youth wing of the Convention People’s Party (CPP), to the Commission for Human Rights and Administrative Justice, (CHRAJ) to look into the matter. “Just go and check the records of the house. Justice DF Annan did same when he did not accept a motion when it came to the issue of the corruption allegations against former president Rawlings. When it came to the Hotel De Wawa, the Speaker didn’t admit the motion against then President Kufuor,” he explained. “There are precedents in the House so I knew that this wouldn’t take an hour and that’s exactly what happened. There are precedents in the House. He rejected assertions that the decision was taken as an attempt by the majority to waylay any potential investigation into the President’s widely conduct. Muntaka said it would be inappropriate to make any claims against the President until CHRAJ had come out with their ruling on the issue.